This holiday season, the tune “Up on the Rooftop” kept echoing in my head. Partly because of hearing various high school choruses perform it, but also because of the roof top of CHC’s building on Main Street in Middletown. 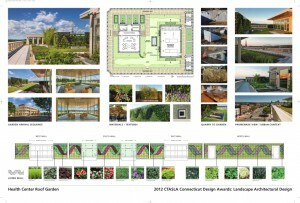 The rooftop has become an important place in the community, as illustrated in the blog post Up on the Rooftop at CHC. The views from the roof, with its gardens tended by local elementary school students, and space for various gatherings has been a great addition to the broader services we provide our community. Our frequent guests are not the only people to recognize the beauty of our roof. 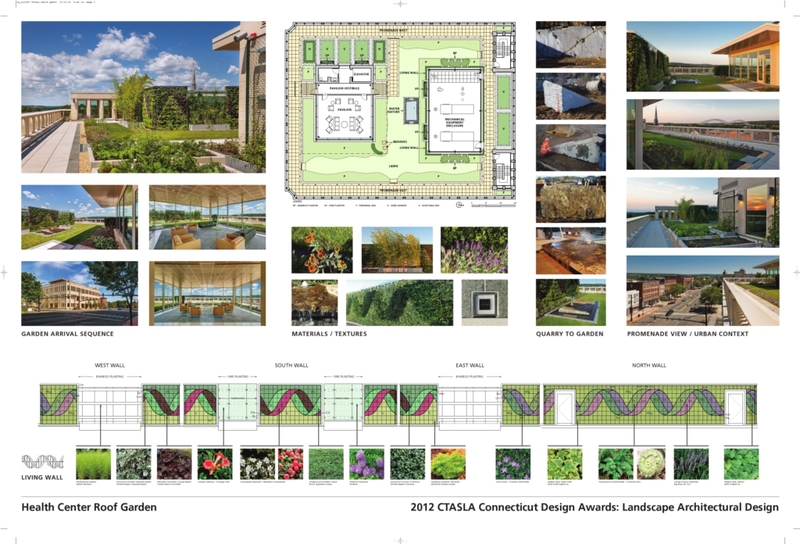 Last month, The Connecticut Chapter of the American Society of Landscape Architects (CTASLA) awarded their 2012 Excellence Award for Corporate/Institutional Landscape Architectural Design to Robert Olson Associates for their work designing our roof. We look forward to many great opportunities in this coming year for members of the community to enjoy the award winning roof.